Bank of America Corp (NYSE:BAC) looks to be on a rocky road this morning if you look at the one-day chart’s movements. With a big blow from investors’ shock at slowing GDP growth and declining consumer confidence, the bank — as well as other stocks — have taken a hit this morning. But most have recovered after the initial drops, with Bank of America Corp (NYSE:BAC) sitting at a 0.4% loss as of 10:30am EDT after falling as much as 1.12% earlier in trading. The bank’s rebound is a relief for investors, who have watched as the bank made some big gains this week. But for Foolish investors, today’s moves shouldn’t have made you uneasy at all. Why? Because today’s dips weren’t severe enough to make a dent in the gains posted so far this week by Bank of America Corp (NYSE:BAC). But if you don’t look beyond today’s moves, you’d think that the bank was struggling to hold on. In an article that I wrote a few months ago, I noted that a single day’s movement for Bank of America Corp (NYSE:BAC) was deceptively unsettling for investors, who were better off looking at long-term progress at the bank. I even argued that a single week’s movements could be written off by long-term investors — and earnings season proved it. Wednesday of last week, Bank of America Corp (NYSE:BAC) reported earnings and, though the company’s rebuilding plans had generated operations that produced quadrupled profits compared to the previous year, investors followed analysts in the disappointment game, because the bank missed expectations. The stock fell by nearly 5% that day, with more losses on Thursday to follow. But once the aura of earnings season lifted (somewhere around this past Tuesday), investors suddenly saw the upside in Bank of America Corp (NYSE:BAC), and began buying up the stock, pushing it up 3.1% that day and, ultimately, 6.2% through yesterday. The stock is at its highest point for over a month based on the strength of its rebuilding, streamlined operations, and continued focus on improvement. While it’s important to keep track of your portfolio’s progress, watching stocks on a daily basis can increase your stress levels, making it harder to keep a level head about the performance of your stocks and making investing harder on you — unnecessarily. In the case of Bank of America, the stock has gained 114% since the beginning of 2012, with plenty of dips along the way. If you had bailed on the bank during one of those down swings, the momentum would have been lost and your personal gains would have suffered. The article The Most Important Aspect of Bank of America’s Moves Today originally appeared on Fool.com and is written by Jessica Alling. Fool contributor Jessica Alling has no position in any stocks mentioned, but you can contact her here. 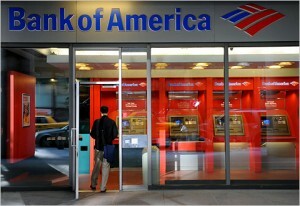 The Motley Fool owns shares of Bank of America.